India is a land steeped in culture and traditions. It therefore comes as no surprise that marriages in India are marked by a lot of customs and traditions that are religiously followed to this day. 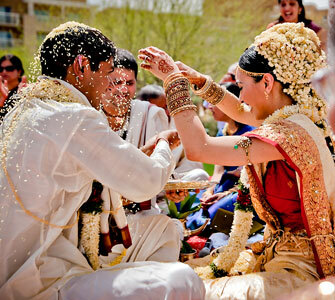 The Wedding Traditions in India are an impressive manifestation of the rich cultural heritage of the country. Interestingly this country is known as much for its unity as for its diversity and this variety is implicit in the Wedding Traditions in India as well. A series of rites and rituals are followed not only on the day of the wedding but also before and after. However these rites and rituals that are followed are not one and the same throughout the country. Different regions of India follow different customs and each of these customs hold a special meaning and significance. There are some though that are common and the underlying intention of all these customs is the well being of the couple, their happiness, harmony and prosperity. 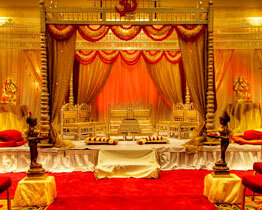 When discussing on Wedding Traditions in India, the ceremonies which are held before the wedding are also considered. One of the foremost Wedding Traditions in India which is prevalent more or less along the entire length and breadth of the country is the Sagai or Engagement ceremony. It might be called by different names in different parts of the country but it is this ceremony which marks the initiation of the grand Indian wedding. 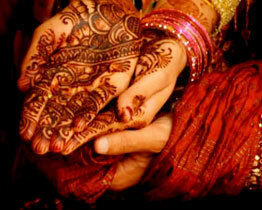 Traditional Indian weddings include a host of other pre wedding ceremonies like Mehendi, Sangeet and Haldi. The couple walks around the sacred fire taking vows of togetherness. 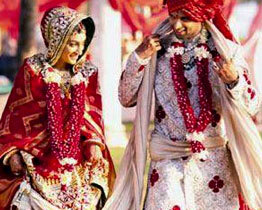 Known as Saat Phere, this traditional custom at the time of marriage is very important. There are numerous other traditions but they tend to vary depending on which part of India the marriage is taking place. Mooh Dekhai and Pag Phere are amongst the post wedding rituals. There is a certain beauty in these customs which is why they arouse the interests of foreigners as well. Getting Married in India is now a common trend and Wedding Tourism in India is gaining increasing popularity. 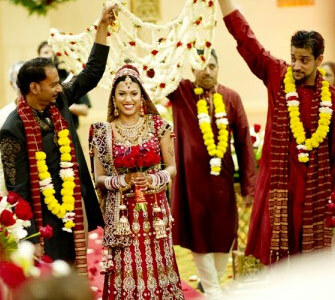 Indian Weddings with all their grandeur and magnificence have cast its spell on so many foreigners that there are many who consider getting married in India. 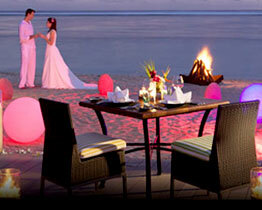 Consequently wedding tourism in India is increasingly gaining popularity. 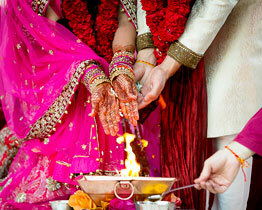 The Hindu wedding ceremony has a number of rituals and customs, each symbolic of beautiful and noble sentiments. 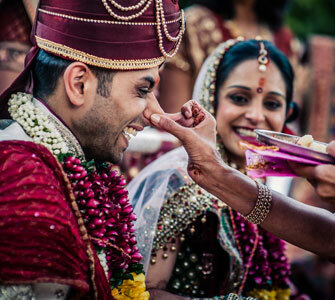 South Indian wedding traditions and ceremonies are no exception. Hindu weddings are ceremonial feasts laden with symbolic rites and rituals. Despite India's diversities in language, culture, food and lifestyle, one can observe common threads in many Hindu weddings across the nation.